Tiramisù is one of Italy’s most prized desserts. With its innumerable variations and its simple decadence tiramisù has become a success on an international level. Tiramisù is so popular that it is actually one of the top five best known Italian words in the world. This dessert was conceived in an Italian restaurant as an evolution from combining eggs and sugar. However, where and when it was created is quite a controversial topic. Some believe that the dessert was first made at the hotel Signora Norma Pielli di Tolmezzo in Friuli, but most assert that the first tiramisù was made in Treviso by chef Roberto Linguanotto of the restaurant Le Beccherie, which is still in Piazza Ancillotto, in the center of the city. 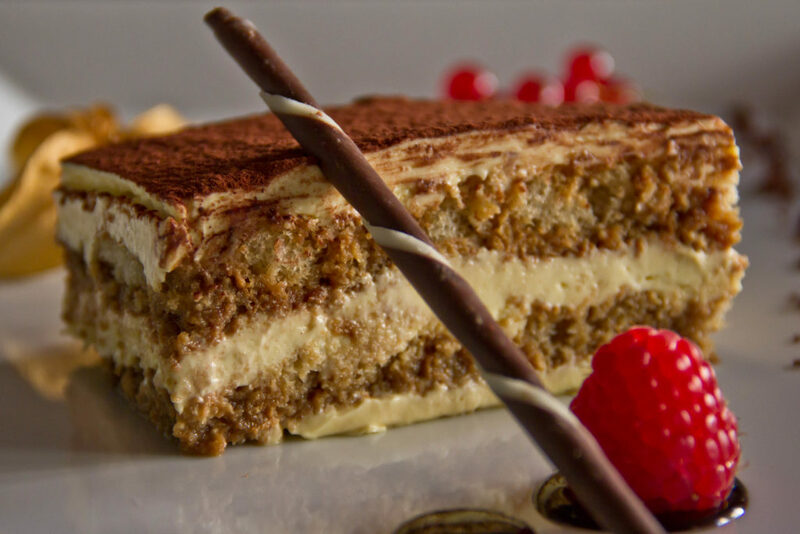 Tiramisù’s fame has crossed national borders, becoming a symbol of Italy and of Veneto throughout the world. The popularity of tiramisù is in large part thanks to local Treviso citizens who emigrated throughout the world bringing with them this typical dessert. This dessert today is so well known that Francesco Redi, a Treviso entrepreneur, has decided to set up the Tiramisù World Cup. “I started this project because while traveling for work and eating in many restaurants I often found tiramisù on their menus. So I started wondering what the original recipe was. Everyone prides themselves on making the best tiramisù in the world; so in order to discover the best authentic recipe I decided to launch an amateur Tiramisù competition“. Since then hundreds of people challenge each other to make the best original recipe tiramisù and the best creative recipe every year!